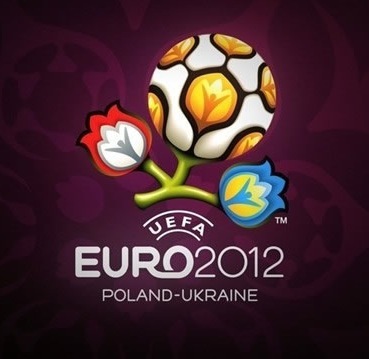 The group of death got underway today at Euro 2012 and the group lived up to its name today. Just not in the way many expected. Not much scoring today as both games finished with 1-0 results, but plenty of action and even more reactions from players and fans alike. With the early game today we now have our first surprising result of the Euro 2012 competition. The Netherlands are one of the favorites in this tournament, and with today’s result they now have a mountain to climb if they are going to advance and stay alive after the group stages. . It’s not like the Netherlands even played bad today, it’s more so that Denmark capitalized on their only real chance and were able to hold off the Dutch to pull off what may be the most shocking result of this whole tournament when all is said and done. In the 24th minute today Michael Krohn-Dehli provided the finishing touch that was the difference in this match, as he picked up the ball close to the penalty area, left two defenders in their tracks and shot through the legs of goalkeeper Maarten Stekelenburg. Dutch captain Mark van Bommel said “It was thy only dangerous action of Denmark. I’m speechless, because these three points are very important”. Holland outshot Denmark 28-8 (though only 5-4 for shots on target) and had 11 corner kicks to Denmark’s 4. This was one of those games where stats don’t tell the whole story, and Denmark just happened to get the result that they wanted and the pressure now sits on Holland at the bottom of group B. The match between Germany and Portugal today was the first match between what most of the soccer world would consider “elite” teams of Euro 2012 so far. This was a match that Portugal was content with playing for the draw, especially after they knew the result of the earlier on the day. Two teams from each group advance to the next round and with what Denmark considered to be the weakest team in this group just getting one point from a match against Germany would have been an excellent result for Portugal. Germany dominated the first half of this match, but Portugal had the best chance in the first half in the 44th minute when the Portuguese defender Pepe curled a shot over the German goalkeeper and off the underside of the crossbar, but the ball came down on the goal-line and cleared away. The game went back and forth over the next 25 or so minutes, and then in the 72nd minute German forward Mario Gomez drew the only blood of the match, finishing a Sami Khedira cross past goalkeeper Rui Patricio of Portugal. Gomez, who had only eight touches in the first half, scored with the one that mattered in the second half so it had to be a great night for him. My favorite German player, Lukas Podolski failed to make much of an impact in this game, so I’m hoping that he steps it up over the next few weeks and can play more like the guy who won the 2006 World Cup’s Best Young Player award. Over the final 15 minutes of this match Portugal forwards Cristiano Ronaldo (former Manchester United midfielder, now with Real Madrid) and Nani (still with Manchester United) had a barrage of shots but German keeper Manuel Neuer made all the saves he needed to (just three, but all HUGE) and the Germany won their first match of the tournament by that 1-0 score-line. This entry was posted in Soccer and tagged Denmark, Euro 2012, European Championships, Germany, Holland, Portugal, Soccer, Sports. Bookmark the permalink.